Success! Victory! Clarity! Breakthroughs! These are just a few ways you can see this Ace materialize for you today. If you apply it to an area of your life where you have been working to regain your power, then this is your Ace, and you can do very well with it. This feels like one of those moments when you hear yourself saying “nailed it!”, because this success which is at your disposal is a precise form of success. There is also a very good possibility that even though this is Saturday, you may see some form of divine justice being served. Living the truth is extremely important, and I believe the truth is meant to prevail. Bear in mind that today is the second of three sextiles between Jupiter and Pluto, bringing in some major mojo for you to transform your life and take back your power in a big way. 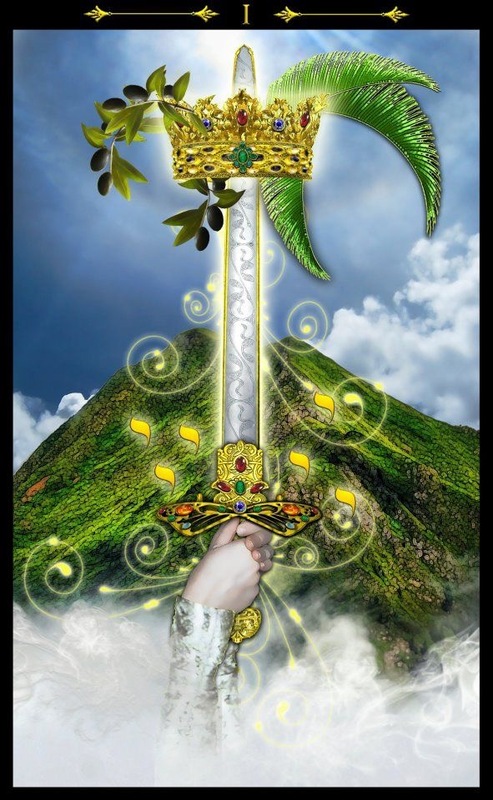 This entry was posted in Card of the Day, General Tarot, Patreon, Readings, YouTube Videos and tagged Ace of Swords, Card of the Day, Guidance, Path, Reading, Tarot.